E.L.F. is one of my favorite drugstore brands because they have good quality cosmetics for affordable prices. It's been awhile since I did an E.L.F. review and I've actually been using these wipes for a few months this is probably my 3rd or 4th pack of them. I would always think about reviewing them but since I keep them in my bathroom I would always forget to take pictures of them, but not anymore! These are really great to have around especially if your bad about taking off your makeup at night because they are quick and easy. They are also really handy for fixing any makeup mistakes while applying eyeshadow they clean up fallout on the face wonderfully. I mainly use these on my face to take off my foundation and blush products. 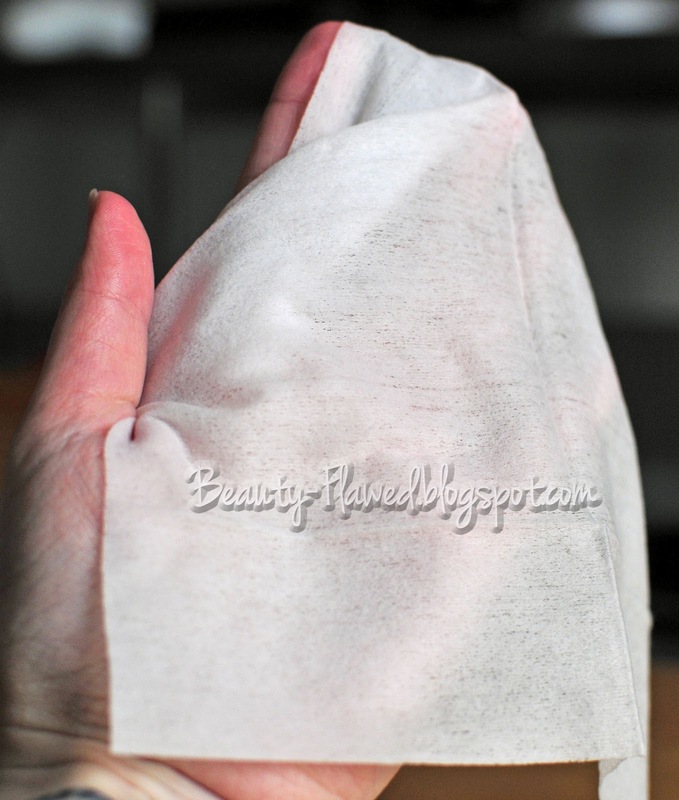 I have used them to take off my eyeshadow and mascara and while they do take off eye products I find that the cloth is a bit too rough for the eye area. I'm not sure what the cloth is actually made of because it isn't listed on the package but the feel is similar to baby wipes just not quite as plush. These do have a slight fragrance just a subtle clean scent and I can also smell a bit of alcohol coming off them when inside the package. The formula itself is infused with Aloe Vera Extract to help moisturize the skin as well which is nice. What I really like about these is the packaging it has a little plastic door on it that really helps keep these from drying out or leaking. Making them even more convenient for travel because you don't have to worry about them coming open in your bag. After using this to take off makeup I do rinse and follow up with my Ocean Salt cleanser for me using something stronger is a real must otherwise my skin thinks it's okay to breakout but I have always been that way. 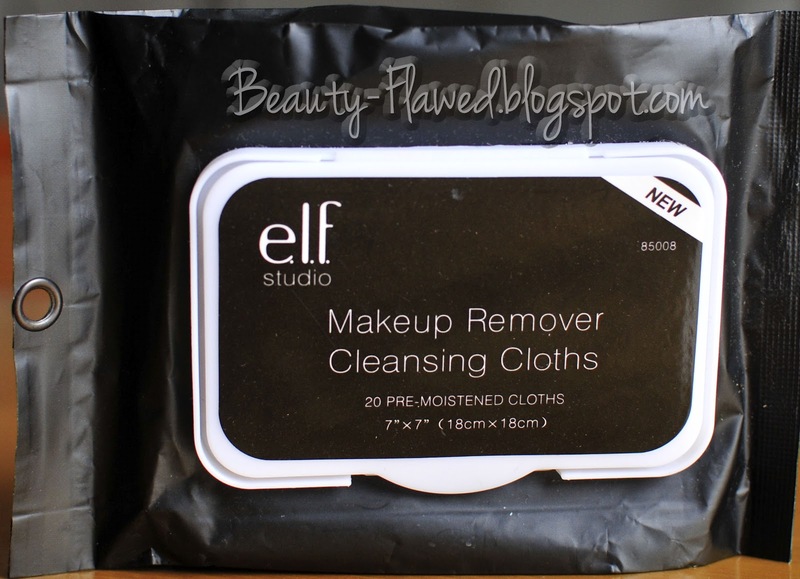 E.L.F Makeup Remover Cleansing Cloths retail for $3.00 and can be found at stores like Target or Online at EyesLipsFace.com. 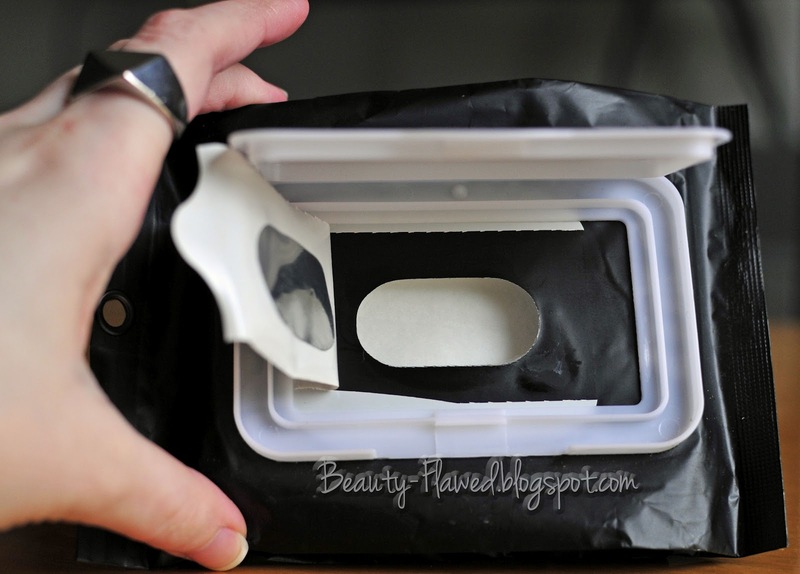 If your on the go or don't have a lot of time to remove your makeup at night this is worth looking into! Have you tried any E.L.F. Products? Ingredients: Water, Dimethicone, Caprylic/Capric Trigylceride, Hydrogenated Polydecene, Glyceryl Sterate, Cetearyl Alcohol, Propylene Glycol, Acrylates/C10-30 Alkyl Acrylate Crosspolymer, Disodium EDTA, Tocopherol, Aloe Vera (Aloe Barbadensis Leaf) Extract, Benzyl Alcohol, Methylchloroisothiazolinone, Methylisothiazolinone. I love ELF products! I had no clue they made these! I haven't tried these yet because I have really sensitive skin. And I've had makeup cleansing cloths break my out before. But I do like ELF cosmetics and brushes! they've got really nice products for the great price! Follow your blog for sure! I love these! I try to stock up whenever I can!!! I had no idea that ELF is not sold in stores. I thought it was all sold online. I've read great reviews on their line and the cosmetic wipes can get expensive from ponds and olay. Yeah I first saw them in Target maybe a little over a year ago and they were always sold out at first but slowly but surely lots of stuff became available. I do like the ponds ones too they are so soft but I agree they get pricey.